Home → Alternative Lending → B Lending – Is this really a risky business? Alt-A, Subprime, B-Lending, so many names, all of them point to one single direction – risky loans. Recent problems in US housing industry have painted a bad picture of alternative to A lending. It is time for a pause and to think outside the box. Are they really risky? If you try to look at the purpose they serve then you may tend to think otherwise. 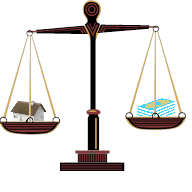 Alternative mortgage market does have higher risk but that does not necessarily translates to higher bad debts on the lender balance-sheets. If managed properly it is a very attractive marketplace for many lenders. B-lenders are very useful source of mortgage for persons who have problem establishing income. As an example, waiters – they earn a significant amount of their income from customer’s tips. A mortgage broker earns enough to service a mortgage but an A lender may not agree to that. There are a lot of other borrowers who would nicely fit into this category, like a new immigrant, a recent graduate, a person who has lost job and many others like recent bankrupt and consumer proposal. All of these conditions never says that a borrower would default but main stream lenders often avoid those deals. Home Trust – along with many other lenders – has programs for those who are looking for a mortgage but has problem establishing income and or credit. In this very easy on borrowers program the lender pays real attention to the loan to value ratio or equity in the property. The term B+ tells a great deal about the product. Some important points are given below. 35 years amortization is allowed. The lender self-insures itself. It supports refinances and purchases both. Beacon can go really low – even lower than 550. It allows up to 80% LTV on purchases for borrowers with beacon score above 580. Term can be from 1 year to 5 years. This flexibility in term allows marginal borrowers to rebuild their credit and move to a better program sooner than later. Stated income is okay. NOA may be waived. 100% gifted down payment is allowed. Zero down is a not allowed. Contributory income can be added. The nice thing about this is the contributor need not be on title. We shall bring you more product analysis from other lenders in future. The B-program from Home Trust is helpful for those who needs it. The quarterly earning statement from the parent company (Home Capital Group Inc.) also states the fact that this is not really as risky lending as it appears to be.